London, UK., 11 August 2016: ValiRx Plc (AIM: VAL), a life science company, which focuses on clinical stage cancer therapeutic development, taking proprietary & novel technology for precision medicines towards commercialisation and partnering, is pleased to provide an update on the clinical development of ValiSeek, the joint venture between ValiRx and Tangent Reprofiling Limited. ValiSeek was formed to progress the novel cancer treatment drug, VAL401, towards Clinical Efficacy trials for the treatment of lung cancer and other oncology indications. ValiSeek has received notification of acceptance by all required Regulatory Authorities in Georgia of the protocol and associated documentation for the Phase IIb Clinical Trial of VAL401 at the chosen site in Tbilisi. This acceptance allows ValiSeek to complete initiation of the clinical site at the Medulla Immunotherapy and Chemotherapy Clinic and allows Principle Investigator Dr Tsira Kortua to begin identifying patients to be recruited into screening. This screening process tests the patient suitability for induction into the trial protocol. 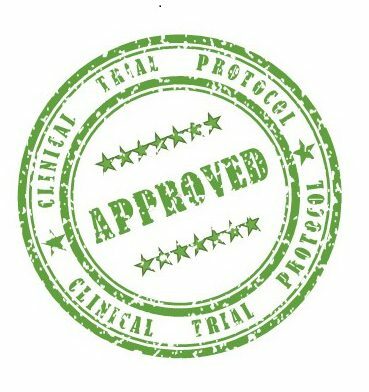 All approvals have now been granted for this trial titled, “A Phase II study to assess the efficacy, safety and tolerability of VAL401 in the treatment of patients with locally advanced or metastatic Non-Small Cell Lung Cancer (NSCLC) after failure of at least one prior chemotherapeutic regimen”. The approved protocol lists “Tumour progression-free survival” as the primary endpoint. This will record the length of time between patient screening and progression of the disease, providing a first indication of whether the treatment will be efficacious. Secondary endpoints include pharmacokinetic measurements; safety and tolerability of the drug; quality of life of the patients and overall survival, providing supporting data on efficacy and drug dosing parameters, which are key to aligning the programme with industry expectations. The protocol details the dosing and testing schedules to be carried out on each patient for six months treatment, with a maximum of twenty patients to be fully enrolled, with recruitment staggered over a number of months to ensure patient safety. Clinical Accelerator, the UK-based clinical trial management organisation engaged by ValiSeek (as announced on 16 July 2015), will be building on their work of achieving this regulatory approval by coordinating the operational and logistical functions of the clinical trial. This notification follows ValiSeek’s receipt of a positive opinion recommending approval of the trial protocol from the Ethics committee covering its clinical site in Tbilisi, as announced on 14 July 2016. Dr Satu Vainikka, CEO of ValiRx Plc, added: “We at ValiRx are absolutely thrilled to get this approval for our VAL401 treatment to go to late stage clinical trial for this desperate unmet medical need”. ValiSeek Limited (“ValiSeek”) is a joint venture (“JV”) company between ValiRx Plc and Tangent Reprofiling Limited, part of the SEEK Group. ValiSeek was formed to progress the drug VAL401 through its remaining preclinical development and towards Phase II trials for the treatment of lung cancer and other oncology indications. Additional information about SEEK is available on the Company’s website located at www.seekacure.com. ValiRx is a biotechnology oncology focussed company specialising in developing novel treatments for cancer and associated biomarkers. It aims to make a significant contribution in “precision” medicine and science, namely to engineer a breakthrough into human health and well-being, through the early detection of cancer and its therapeutic intervention. ValiRx’s two classes of drugs in development, which each have the potential for meeting hitherto unmet medical needs by existing methods, have worldwide patent filings and agreed commercial rights. They originate or derive from Word class institutions, such as Cancer Research UK and Imperial College. Until recently, cancer treatments relied on non-specific agents, such as chemotherapy. With the development of target-based agents, primed to attack cancer cells only, less toxic and more effective treatments are now possible. New drugs in this group—such as those in ValiRx’s pipeline—promise to greatly improve outcomes for cancer patients. The Company listed on the Alternative Investment Market (“AIM”) of the London Stock Exchange in October 2006 and trades under the ticker symbol: VAL.